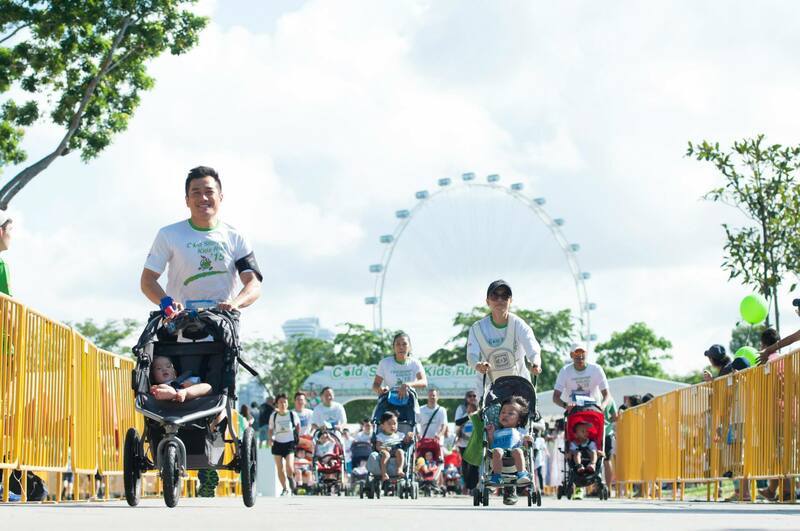 5 Singapore Kids' Runs All Parents Should Be Aware Of | JustRunLah! We all want our kids to grow up strong and healthy. There’s no better way to do that than to encourage your kids to be out there moving and playing since young. For running parents, signing them for a run is going to be another way to get them started! Here are 5 races you should know about. The way to get your kids eating healthy and physically active is to get them to join a run that promotes just that! There’s a category for everyone (Sprint and Family Run) and your kids can choose from 2 distances: 800 m and 1.6 km as well. Everyone gets a medal regardless of how fast or slow you ran – everyone’s a winner! After the race, your kids will be rewarded with the Kids Run Carnival, where they will be able to meet and take pictures with a myriad of different mascots. This gets your kids to run for kids. 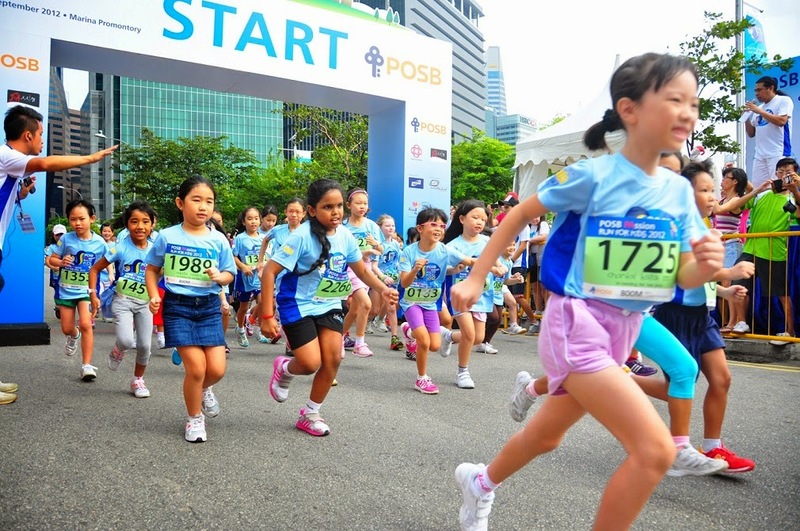 POSB PAssion Run is organised in collaboration with the People’s Association. 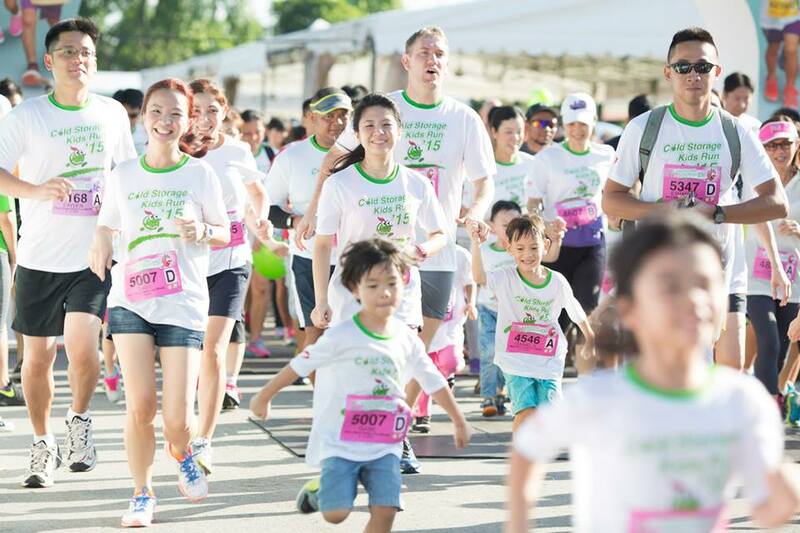 This race raises funds for the POSB PAssion Kids Fund, which supports the education and development of our young children within the community. There are 2 competitive distances for kids: 800 m (for 7 & 8 year olds) and 1.2 km (for 9 to 12 year olds) this year. Registration is already open! For your more athletic kids, you can challenge them by signing them up for the Tri-Factor Series. Those aged 6 and above can already participate in non-competitive, kids categories. They engage your kids in multi-sports fun and would be a good way to introduce the triathlon sport to them. 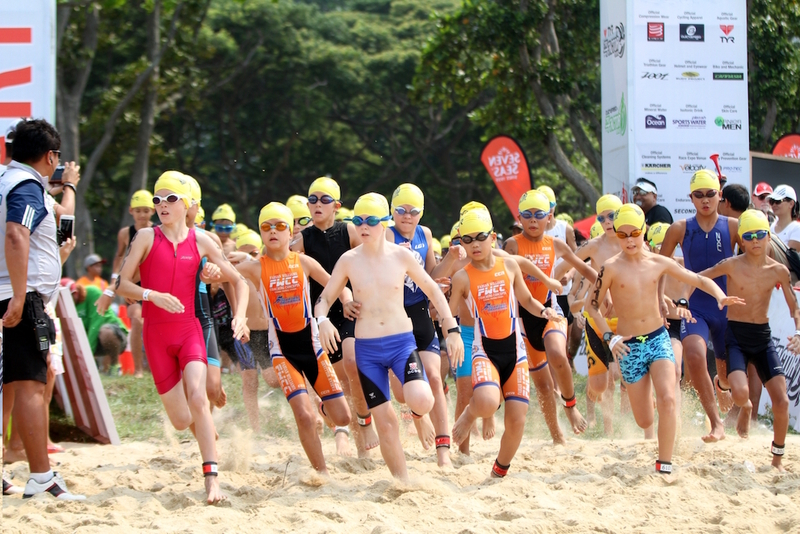 Tri-Factor Series also organises swim, bike and run clinics to teach participants proper techniques and safety tips! It’s the annual charity run! Touch Young Arrows is back with 3 categories this year, including the 2.5km Family Run, 5km Fun Run, 10km Competitive Run. This year, TYA aims to raise $250,000 to support the various programmes for some 570 needy children and families. As much as it is to raise funds, the TYA Run & Raisin also promotes family bonding. Post-race, you can spend quality time with your kids at carnival with over 25 game booths, food treats, and stage performances. Psst, you can even join the carnival without taking part in the race! It gets better and better every year! In 2015, Kids Dash returned as a standalone event, with a new carnival area for the whole family. It’s a fixed distance of 800 m and all kids up to the age of 13 years old are eligible to participate. 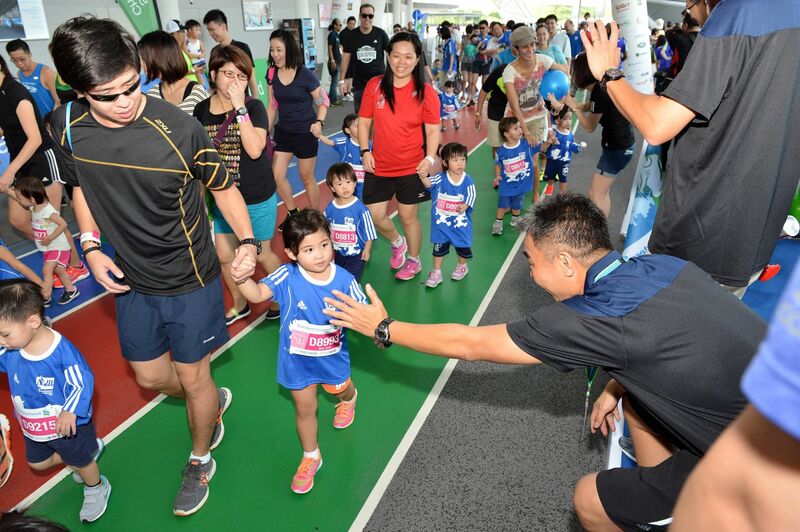 Your kids would be given a Kids Dash runner’s tee and be awarded a finishing medal at the end of the race! You can run alongside your kids as well. Inculcating the habit of choosing the sports shoes over a smartphone and choosing a cup of milk over a soft drink goes a long way. These races that are designed to be fun and meaningful for kids would be a good kind of family bonding activity to consider next weekend. Never miss a race! Click here to download our free app to build your own calendar now.